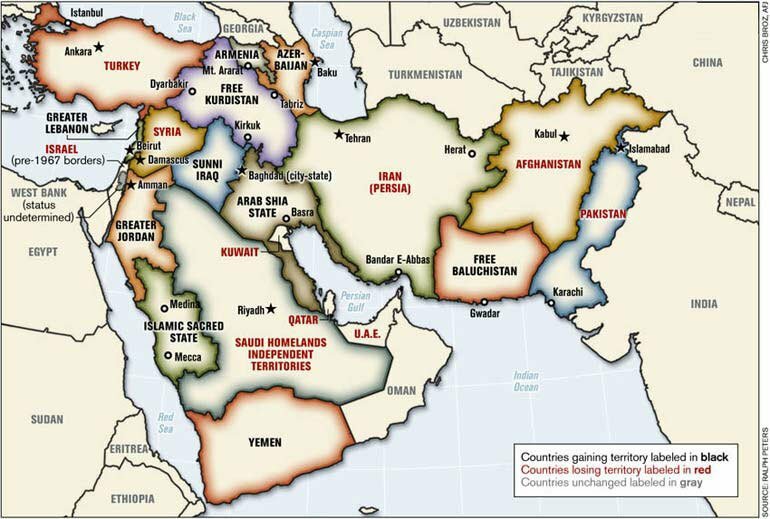 This article by award winning author Mahdi Nazemroaya first published by GR in November 2006 is of particular relevance to an understanding of the ongoing process of destabilization and political fragmentation of Iraq, Syria and Yemen. Washington’s strategy consists in breaking up Syria and Iraq. Secretary Condoleezza Rice stated during a press conference that “[w]hat we’re seeing here [in regards to the destruction of Lebanon and the Israeli attacks on Lebanon], in a sense, is the growing—the ‘birth pangs’—of a ‘New Middle East’ and whatever we do we [meaning the United States] have to be certain that we’re pushing forward to the New Middle East [and] not going back to the old one.”1 Secretary Rice was immediately criticized for her statements both within Lebanon and internationally for expressing indifference to the suffering of an entire nation, which was being bombed indiscriminately by the Israeli Air Force.